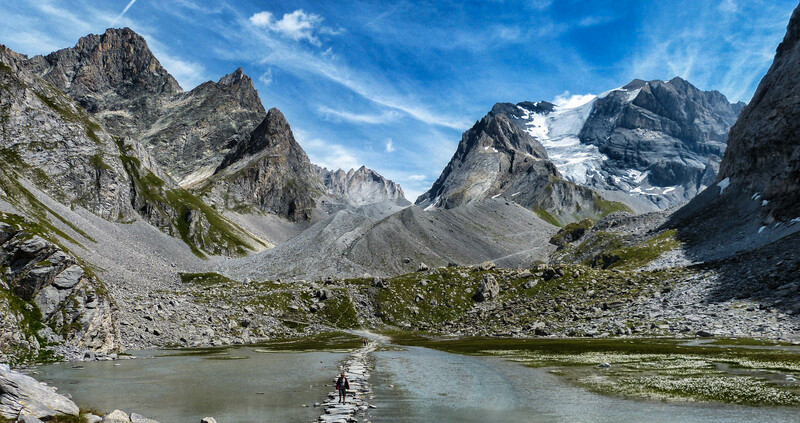 Photo taken in Vanoise National Park, France. August 2012. This post is in response to the Weekly Photo Challenge: Near and Far. To see more entries, click here. What an exquisite image!! Beautiful scale, perspective, and just plain pretty! Thank you! It was relatively easy given how incredibly beautiful it is in Vanoise National Park. Every step is a photographic moment! Yes it is stunning. I really love mountains and am always happy to be in them! Thank you! 🙂 I’m glad you enjoyed! Great shot. I really get the sense of scale from this when I see the person in the shot. Awesome! WOW WOW WOW!!!! Awesome shot. Thanks!!!! 🙂 These are with the new camera I mentioned earlier! Thank you! I worked hard at reworking the pictures a bit. They were already nice as it is so beautiful there. BUt now I have Lightroom and am playing around with editing the photos a bit. It is really fun and I enjoy it! Glad you liked the photos! Wow! A stunning shot Nicole! Did you take this with your new camera?